Now use your Gift Card online and shop away! Get what you love easily by redeeming your Gift Card online or on our apps. All it takes is a few simple steps. Go on, try it out. Shop with your Gift Card online. 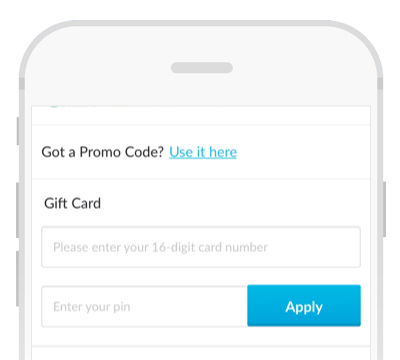 Pay with your Gift Card either online, on our app or in-store. Find a product you like and proceed to checkout. 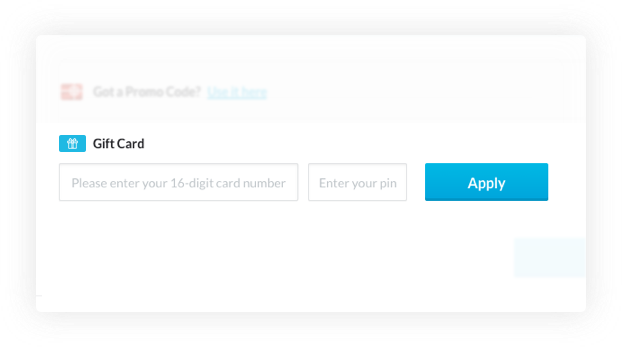 At the bottom of the checkout page, enter your 16-digit Gift Card number and 6-digit pin and hit Apply. This will allow you to see how much money you can spend from your Gift Card. Click Pay Now and complete your shopping. It's that easy! You have in your Gift Card. Check the balance of another card here. Where can I get a Gift Card? You can easily buy one in any Lifestyle, Max or Home Centre store. Instantly get one online right here. Gift Cards are redeemable at Lifestyle, Home Centre stores and at select Max and Melange stores in India. 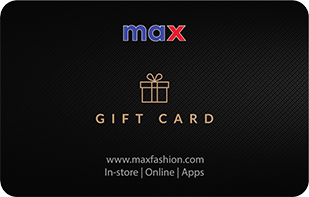 Gift Cards are also redeemable for online purchases at MaxFashion.com, LifestyleStores.com and HomeCentre.com. Gift Cards are valid for one year from the date of issue and can be used for multiple purchases until balance on the card is exhausted. For balance enquiry and validity SMS GCBAL <16-digit card number> to 56767 or log on to maxfashion.com or visit select Max stores. Qwikcilver, Lifestyle International Pvt. Ltd or their affiliates are not responsible if this gift card is lost, stolen, destroyed or used without permission. Any dispute shall be referred to Lifestyle International Pvt. Ltd & the decision of the company shall be final & subject to Bangalore jurisdiction.